Black Walnut plant, Juglans nigra, is large and handsome. Spreading boughs provide generous shade in summer and an abundance of tasty and nutritious nuts. Powerful medicinal properties. Wood is regarded as a premier cabinet timber. 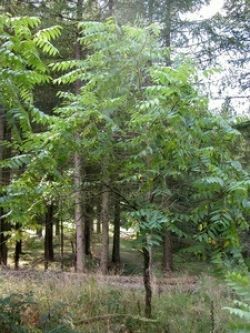 Black Walnut plant is a native to North America and prefers deep rich soils in an open sunny position. Frost resistant but drought tender. A deciduous tree, growing to 30m. Supplied as a dormant and bare rooted tree. Shipping is included in the price, however, pre-ordering is required. Be the first to review “Black Walnut plant, delivery Aug 2019” Click here to cancel reply.